During my nephrology fellowship, I was asked by a renal transplant recipient at her 9-month post transplant clinic visit “Doctor, can I become pregnant? Will I have a live healthy baby? Will my kidney function get affected?” I did not have clear answers then and read extensively on the subject. The first successful pregnancy in kidney transplant recipient occurred in 1958 to the 23 year old Edith Helm who had received a kidney from her identical twin sister Wanda Foster. Thus, this occurred not long after the first kidney transplant in 1954. She delivered a healthy full term boy of 3300 grams by cesarean section 2 years after her transplant. Interestingly, even her donor and twin sister Wanda Foster gave birth four times successfully after kidney donation. Chronic kidney disease is associated with disruption of hypothalamic gonadal axis primarily causing hyperprolactinemia and anovulation due to absence of the luteinizing hormone surge. Pregnancy is rare in women with ESRD with the incidence of conception ranging from 0.9 to 7%. Kidney transplantation is associated with normalization of the reproductive hormones and restoration of fertility as soon as 6 months after transplantation and gives us an apparent large window of opportunity to help women of childbearing age who want to have babies. On the other hand, deteriorating allograft function may narrow this window unpredictably. In addition, pregnancy in kidney transplant recipients is challenging due to the side effects of immunosuppressive medications, and higher risk of adverse maternal and fetal complications. Therefore, It becomes important as physicians to counsel and medically optimize kidney transplant recipients who wish to become pregnant. I have put below common questions that are frequently asked by women with history of kidney transplant. Question: Is pregnancy possible after a kidney transplant? Answer: Yes, pregnancy is possible in kidney transplant recipients. However, there are several important things that one must consider before you decide to conceive like timing of conception, risk and changes in immunosuppression that we have discussed below. It is extremely important that you talk to your transplant nephrologist about this beforehand. Question: What is the likelihood of maternal complications if I do decide to get pregnant? Answer: There is a 6 fold higher likelihood of preeclampsia in women who have a kidney transplant and a reported incidence of 15-25%. There is a also 5 fold higher risk of needing a cesarean section. However, there is no increased risk of maternal mortality. Question: Will I have a live healthy baby? Answer: Likely Yes, having had a kidney transplant does not increase fetal mortality, especially if the timing is right and adequate precautions are taken (see below). However there is a 12 fold high likelihood of preterm and low birth weight babies; and a 3 fold higher likelihood of having small for gestational age babies. Question: What are the risk factors associated with poor maternal and fetal outcomes? Answer: The two most important risk factors are serum creatinine > 1.4 mg/dl, presence of hypertension during pregnancy and proteinuria > 500 mg/24h. It is advisable to become pregnant sooner than later - younger age at conception is associated with better outcome. Question: What is the optimal time to conceive? Answer: The optimal time to conceive is after 6 months and within 2 years of getting the transplant. It is known that if time to conception is more than 2 years of getting a transplant, it reduced the likelihood of viable fetal outcomes. Question: Will pregnancy affect my allograft function? Answer: Likely No, the kidney allograft is able to adapt normally to physiological changes of hyperfiltration in pregnancy. An uncomplicated pregnancy does not increase the risk of kidney loss. However it may affect graft function if you have risk factors like higher pre-pregnancy creatinine (or lower kidney function) or develop hypertension during pregnancy. Question: What are the changes in immunosuppression that are made if I wish to become pregnant? Answer: Mycophenolic acid (cellcept) and sirolimus are teratogenic, and must be stopped 6 weeks prior to conception. Cellcept has shown to be associated with limb and facial anomalies tacrolimus/cyclosporine (class C), azathioprine (class D) and low dose maintenance prednisone (< 20 mg/day) (class B) are safe to be used during pregnancy. Even though azathioprine is listed as class D, it is to safe to be used during pregnancy because the fetal liver lacks the enzyme inosinate pyrophosphorylase that converts it to active metabolite 6 mercaptopurine; and fetus is protected from its adverse effect. Question: My friend wants to donate a kidney. Will donating a kidney affect her future pregnancy? Answer: Likely No, donating a kidney does not affect the chances of her becoming pregnant. Post-donation, however, there is a 2.5 fold higher risk of preeclampsia and gestational hypertension in living donors, without any associated fetal complications. Question: I am currently on dialysis. Should I try to become pregnant now or wait till I get a kidney transplant? Answer: The incidence of conception on dialysis patients is very low ranging from 1-7%. Even when women with ESRD are able to conceive, the incidence of live birth is 20-40%. Women should be advised to wait till they get a transplant. However if the wait list for transplant is long due to high PRA or they are getting older, they may be advised to try to conceive while on dialysis. How Intensification of dialysis to >36 hours per week is associated with improved fetal outcomes with a live birth rate of 85%. For a review of Pregnancy in Kidney Transplant review its entry in NephMadness ‘15. What can high nephron abundance teach us about CKD? If you are fortunate, you’ll start life with somewhere in the neighborhood of two million nephrons at birth, and for most, that’s enough to journey through life without a hint of uremia. Even those who maintain good health experience a gradual loss of renal function through life. But what about those who have and maintain really fantastic renal function? Do possessors of “elite kidneys” have something to teach us for the benefit of those with failing kidneys? The concept that low nephron endowment is associated with the development of renal disease, has been around since at least 1988, with the work of Brenner and colleagues. Despite the technical difficulties in estimating glomerular number from biopsies and autopsy samples, low nephron number has been reproducibly associated with hypertension and chronic kidney disease in human populations and experimental models. This is particularly true of disadvantaged populations such as Aboriginal Australians. And an association between low nephron number and hypertension has been demonstrated at autopsy after accidental death in patients and matched controls. It’s fair to say the converse - high nephron endowment - is little studied. 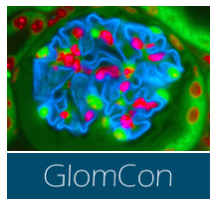 Interestingly, when studies from a variety of populations (totalling 182 subjects) are taken together, the number of glomeruli per kidney averages ≈850,000 with an enormous 8.6 fold range (≈230,000 - ≈1,960,000). So, what of these well endowed people with nearly 2 million glomeruli per kidney? Do they resist an age associated decline in renal function? Do they weather pathologic insults better? Do they develop hypertension less readily? Would they be amongst the best transplant donors? Experimental models of high nephron endowment have examined murine models with altered TGF-β family signalling. Mice expressing a dominant negative truncated type II activin receptor (tActRII) have a 1.8x increase in glomerular number compared to wild type mice. Despite this, creatinine clearance and blood urea nitrogen did not significantly differ. Another experimental study from 2012 examined tgfb2+/- heterozygous mice, which constitutionally bear 30% greater nephron number . Compared to their wild type counterparts, there was no difference in terms of blood pressure or creatinine clearance. However when challenged with a chronic high salt diet, moving from 0.9%, to 4%, then 8% saline, tgfb2+/- mice proved resistant to the hypertensive effects. In terms of translating this to humans, the weight of evidence supports a model in which a wide range of nephron number is determined principally by birth weight, and higher nephron number might prove protective against the development of hypertension and CKD. It is certainly tempting to speculate that a very high filtration area would provide robust renal reserve in the face of aging, or overt renal insults. Further studies of the effects of nephron number are hampered by the lack of non-invasive measures. Use of MRI in the measurement of glomerular number and size in perfused kidney has been described, but this is not yet ready for use in vivo. Nephron endowment is a purely structural measure. In looking for “elite kidneys”, functional measures may be much more valuable. The concept of renal functional reserve (RFR) reflects the idea that stressing a physiological system reveals its dynamic range to a greater extent than a static measure (e.g GFR). Renal function reserve is therefore the capacity of the kidney to increase glomerular filtration rate in response to a physiological stimulus (e.g. amino acid load, pregnancy, increased renal perfusion pressure), or a pathological stimulus. In the diseased state the maximal GFR that can be achieved by residual nephrons should be a better measure of renal function than average GFR, which may be near normal early on. It appears that renal functional reserve (measured by assessing the rise in GFR after vasodilator stimuli) does decline even with healthy aging. But this only tells us young kidneys are functionally better than old ones. We knew that anyway. Amongst healthy children there is a surprising range of RFR. In a study of 89 children challenged with a protein meal, 46% were able to raise their GFR to ≥20% baseline, with a quarter struggling to increase beyond 10% . Unfortunately, we don’t know what happened to the owners of these high performance kidneys in adulthood. Overall, this is a very open question. The best route to answering it likely lies in identifying young subjects with normal GFR, but a high renal functional reserve, perhaps with an associated high (non-invasively measured) nephron number. The key questions would be: what are the factors associated with supranormal function, and are there any modifiable factors which might be translatable to those with pathologically subnormal function? Kidney Transplantation in Identical Twins: Do They Need Immunosuppresion? The first kidney transplant between two identical twins, the Merrick brothers, took place on Dec 23, 1956 in Boston, MA and its is very interesting to read the original article and how Dr. Merril and Dr. Murray concluded that they were identical. They performed a full-thickness skin graft on the recipient and 31 days later a histological examination of the skin graft indicated no rejection and these observations among other clinical findings lead the investigators to conclude that they were monozygous twins and rejection would be unlikely. No HLA typing existed at that time. Surgery was successful and Mr. Herrick lived for 9 years after the transplant without receiving any maintenance immunosuppression. He later died secondary to a myocardial infarction. The side effects of immunosuppression (IS) is a constant battle for nephrologists and finding a sweet spot on maintaining adequate IS to prolong graft survival and avoiding side effects is almost impossible to achieve. A few days ago we took care of a 72 year-old female that underwent living donor kidney transplantation from her identical twin. Prior to surgery there was a discussion whether the recipient should get any induction and maintenance IS. She was a 0/6 HLA mismatch and genetic testing using PCR-based Short Tandem Repeats (STR) analysis indicated they were identical for the 16 different polymorphic gene loci that were evaluated and because she was elderly and highly functional she was at a low immunological risk. Monozygous twins come from a single ovum fertilized by one sperm, and recent studies have shown that monozygous twins are not genetically-related due to the phenomenon of somatic variation, which can arise from three different mechanisms: somatic mosaicism, chimerism and epigenetic drift. Somatic mosaicism occurs in early embryo development and results in tissues having varying genetic expression arising from a single zygote (think about the Rubik’s cube) through numerous mechanisms such as heteroplasmy (unequal division of mitochondrial DNA within the cellular cytoplasm) and uniparental disonomy (where both copies of a chromosome or genomic region are inherited from a single parent) Chimerism arises when new genetic material is introduced from an exogenous source such as maternal cells entering fetal circulation or between two embryos in multiple pregnancies. Epigenetic drift is the result of genetic alterations that have been accumulated throughout life as a result of the interaction of genes and environment (early in utero and lifestyle). So, should monozygous twins receive any induction or maintenance IS? First of all, there are no randomized controlled trials addressing this question and there have been only a few reports where patients received minimal or no immunosuppression. In this article, the authors reported 194 probable identical twin transplants. Seventy percent of the cases received steroids as induction and 71% were discharged with some form of IS therapy. At one year post-transplant, 21% of recipients were receiving calcineurin inhibitors and 27% were on steroids. By one year post-transplant, 66% percent of recipients were not on any form of IS. Recipients off IS, tended to be younger, White, and had a cold ischemia time of less than 12 hours. In regards to rejection rates in kidney transplantation in identical twins in the US and United Kingdom during 1988 and 2004, the authors reported 120 cases in the US and 12 cases in the UK and they concluded that there was no significant difference in graft survival between recipients that are received IS and those who did not. In addition, they also reported no differences on cases that had maintenance IS for possible recurrence disease in comparison to those recipients at low risk for recurrence disease. In another series of 5 cases in a single center between 1969 and 2013 in Spain of kidney transplantation between monozygotic twins, the investigators reported good outcomes at one and five years. Recipients received only a single dose of high dose steroids intraoperatively and no maintenance IS. Of this five cases, two recipients died (from cardiovascular disease and melanoma) after 16 and 22.5 years post-transplant, respectively. One patient was lost to follow up and the two remaining were still alive. DAMPs (damage-associated molecular patterns), among other chemokines, are released during ischemia-reperfusion injury and cellular stress during organ recovery which may modify gene expression after transplant, so using high dose perioperative steroids as induction therapy to suppress this response is a good approach. The somatic variation phenomena described in monozygotic twins should also be considered since they are not strictly identical. In conclusion, once the immune system has been adequately suppressed after the initial inflammatory response related to kidney transplantation surgery, the next step would be to attempt reducing or withdrawing maintenance IS very cautiously considering postoperative course, primary disease and pathological graft findings. Our patient received only high dose steroids as induction IS. Proton Pump Inhibitors: Indigestion for nephrologists! Proton pump inhibitors (PPIs) are one of the most commonly prescribed medications, mostly because of their efficacy and their favorable safety profile. However, it has been estimated that between 25% and 70% of these prescriptions do not have an appropriate indication. The duration of PPI use also frequently extends beyond recommended guidelines. 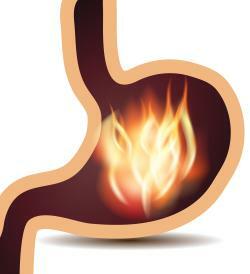 More than 15 million Americans used prescription PPIs in 2013, costing more than $10 billion. Specifically, in patients with kidney disease, a small study suggested a high consumption of AST (acid suppressing therapy, mostly PPIs) in patients on dialysis (compared to other chronic diseases) and the use of AST had, in the majority of cases, no adequate indication. DOPPS data showed a relatively consistent overall prescription rate of 36% to 38%, suggesting that prescription rates in this population are several times greater than in the general population. 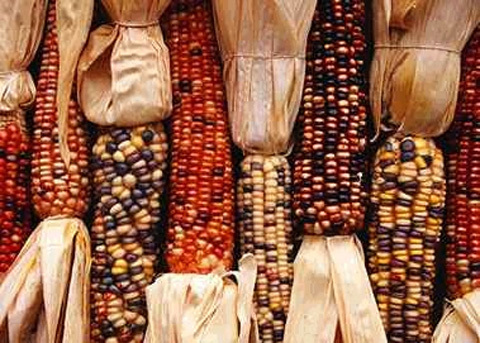 It is speculated that the overuse in patients with CKD may be related to polypharmacy, co-morbidities, hypergastrinaemia or the involvement of many physicians in their care. In 1992, a sentinel case-report identified the PPI omeprazole, as a possible cause of acute interstitial nephritis (AIN) in an elderly woman. Since that time, a growing body of literature suggests that this class of drugs may be linked to AKI, which can potentially lead to chronic injury or kidney failure. A large nested case–control study supported the association between renal disease and PPI exposure and found that patients with an incident renal disease diagnosis were nearly twice as likely (OR 1.72, p < 0.001) to have been exposed to PPIs, providing the first estimate of an effect size for this relationship. A subsequent Canadian population-based cohort study, involving nearly 600,000 patients, found that those who commenced treatment with PPIs had a more than twofold increase in rates of AKI (13.49 v. 5.46 per 1000 person-years; HR 2.52) and AIN (0.32 versus 0.11 per 1000 person-years; HR 3.00) in hospital admission diagnoses. Similar results were found in an analysis stratified by individual PPIs, substantiating the class effect. Indeed, more than half (59%) of the patients in this study, on discharge from the hospital, received another prescription for a PPI in the ensuing 100 days. Of these patients, 7.5% were re-admitted to hospital with AKI in the ensu­ing 120 days, consistent with a causal role of PPIs in some instances, providing the first estimate of the risk of drug re-challenge. This also highlights the lack of awareness among clinicians of the potential association between these drugs and renal dis­ease. In a recently published article in JAMA looking at PPI use and the risk of CKD in two large cohorts, (n=10,482 and n=248,751) PPI use was associated with incident CKD in analysis adjusted for demographic, socioeconomic, and clinical variables (HR, 1.50); and in analysis with PPI use modeled as a time-varying variable (adjusted HR 1.35). The association persisted when baseline PPI users were compared directly with H2 receptor antagonist users (adjusted HR 1.39) and with propensity score–matched non-users (HR 1.76). Twice-daily PPI dosing was associated with a higher risk than once-daily dosing, suggesting a biological gradient. Again, twice-daily PPI dosing was associated with a higher risk of AKI than once-daily dosing. Of interest to the renal community, PPIs also cause hypomagnesaemia, the cause which is probably related to magnesium wasting via TRPM-6 and TRPM-7 inhibition. This phenomenon is also seen in dialysis patients. One may argue that all of these are observational studies which can only show an association and hence cannot prove causality (between PPI use and AKI/CKD or hypomagnesaemia). Many of the studies used hospital diagnosis code, which are less sensitive, and may underestimate the true incidence and association. 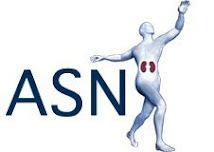 In addition, they rely on administrative data and hence had no access to laboratory indices of clinical or medication data that may have influenced the risk of renal outcomes, including over-the-counter NSAID use (which might perhaps be one of the most common reasons for PPI use). In conclusion, observational cohort studies represent one of the best methods to study adverse effects of medications used in real-world settings. Given the millions of individuals who take PPIs each year and the fact that more than half of such prescriptions may not be clinically indicated, even a small absolute increase in risk of AKI/CKD outweighs any benefits that might be derived from these drugs in many patients for whom they are prescribed. Although it should not deter clinicians from prescrib­ing PPIs for patients with well-defined indications and durations, the current evidence underscores the importance of ongoing efforts to curtail the indiscriminate use of these drugs. 1. What is the mechanism of CKD due to PPI use? Is it due to repeated AKI, a hitherto unreported ‘chronic interstitial nephritis’, or related to hypomagnesaemia? 2. Will treatment of hypomagnesaemia change hard outcomes like mortality/ hospital admissions? An interventional study in hemodialysis patients that reported a beneficial effect of oral Mg administration on decreasing carotid intima-media thickness and a recent small randomized pilot study showed that supplementation with Mg carbonate for 1 year in HD patients led to improved calcification scores in some patients. If yes, to what targets? NKF will be holding its 2016 Spring Clinical Meetings (SCM16) in Boston, MA from April 27 to May 1. 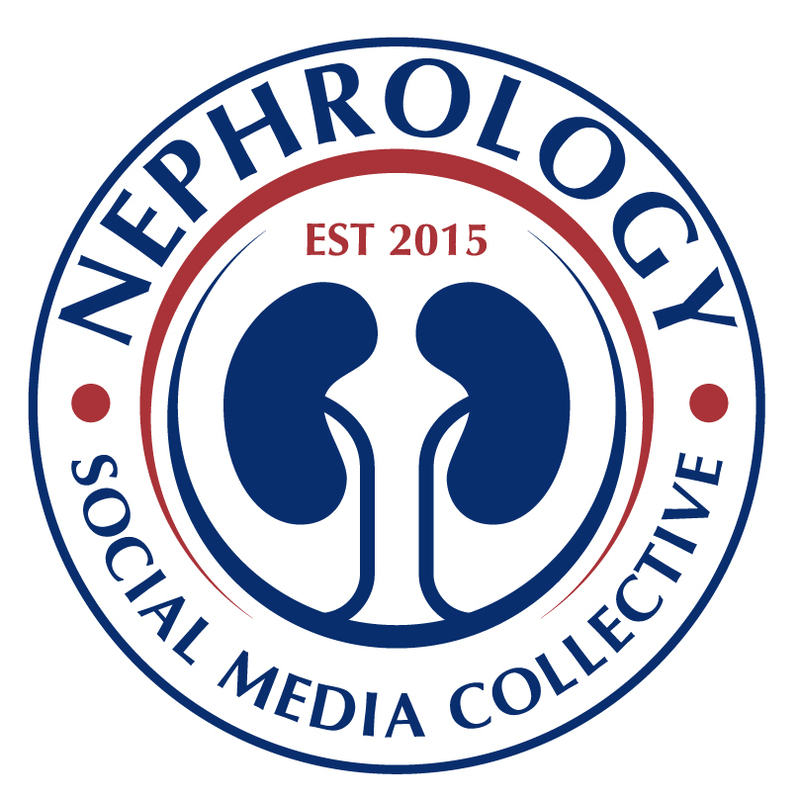 This year will celebrate the 25th anniversary of SCM, and as they reflect on over two decades of providing high quality education to healthcare professionals, they will also be placing a special emphasis on the future of nephrology: Fellows and Residents. Trainees will be offered reduced registration pricing ($150 for fellows and $100 for residents). This will cover access to all sessions in the general program (Pre-conference courses and lunch workshops require additional registration). A special session perfect for trainees in internal medicine and nephrology who are trying to decide what career path to choose in nephrology. In a friendly and fun "speed networking/mentoring" environment, meet a range of experienced individuals currently active in private practice, academic medicine, and industry. Learn why these individuals decided on their career paths, their backgrounds, what they did to secure their jobs, and if (and how) they would do it again if they were starting over. We hope to see you there! This activity will be followed by a complimentary beer/wine reception with hors d’oeuvres. Held in conjunction with Women in Nephrology (WIN) This course is designed to provide a key knowledge base and skills to nephrology trainees, junior faculty nephrologists, and scientists to enhance professional career development. PDS welcomes both men and women. Topics to be discussed include: Am I on the Right Track: Research, Clinic, or Education? ; Essentials of Leadership; Preparing for an Interview; Contract and Salary Negotiations: Academia and Private Practice; and Career Challenges: Work-Life Balance and Time Management. The program will conclude with an opportunity to receive 1:1 mentoring. Expert faculty will provide trainees with a tour of specially selected posters that highlight the newest advances in nephrology. Trainees will also learn about the research process as well as opportunities to present at national meetings. This unique session will cover Innovations in Patient Education; Optimizing Internet Use for Nephrology Education; and Novel Educational Tools for Fellows.